Stunning 100% cashmere scarf in black. Handcrafted in one of the last working Yorkshire mills where they have been making highly desirable fashion accessories for over 250 years. Branded with a discreet tab leather tab stitched to the bottom of the scarf.Dimensions 30x180 cms. 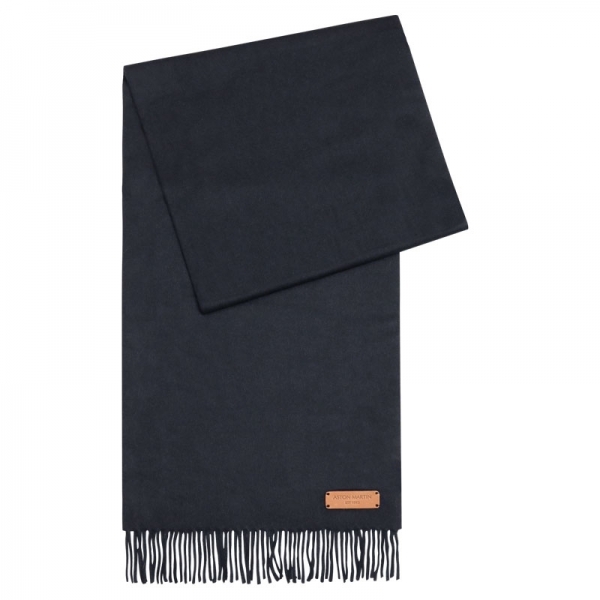 "100% CASHMERE SCARF - DENIM"
Stunning 100% cashmere scarf in denim. Handcrafted in one of the last working Yorkshire mills where they have been making highly desirable fashion accessories for over 250 years. Branded with a discreet tab leather tab stitched to the bottom of the scarf. Related links to "100% CASHMERE SCARF - DENIM"